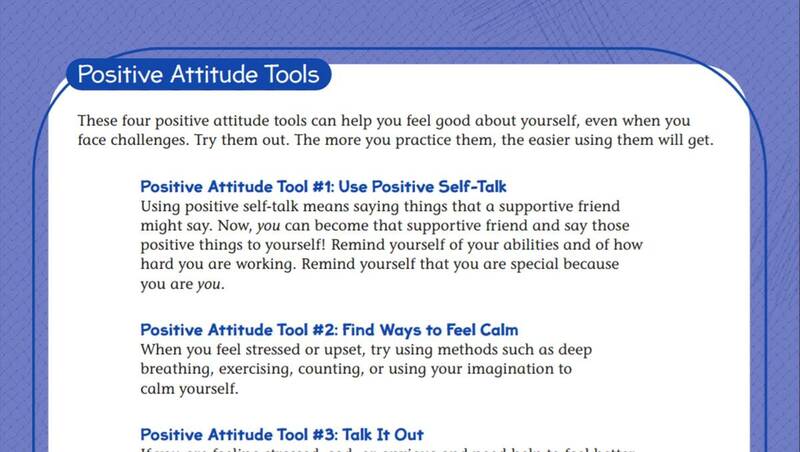 This worksheet features 4 strategies for helping students cultivate and maintain a positive attitude when confronted with negative people or situations. Originally developed for use in special education, it can be just as easily used with general populations as part of a broader character education lesson or curriculum. When kids learn they might receive special education, they often have questions and worries. This book gives kids lots of tools and strategies they can use to deal with their concerns, whether they are in the process of being evaluated for special ed or already receiving special ed services. Readers will learn to cope with their challenges, understand reasons for testing, and see the benefits of accepting special education supports.